Pierce Photography Collection, USC LibrariesA man wades into Ballona Lagoon, Los Angeles, California, circa 1902. 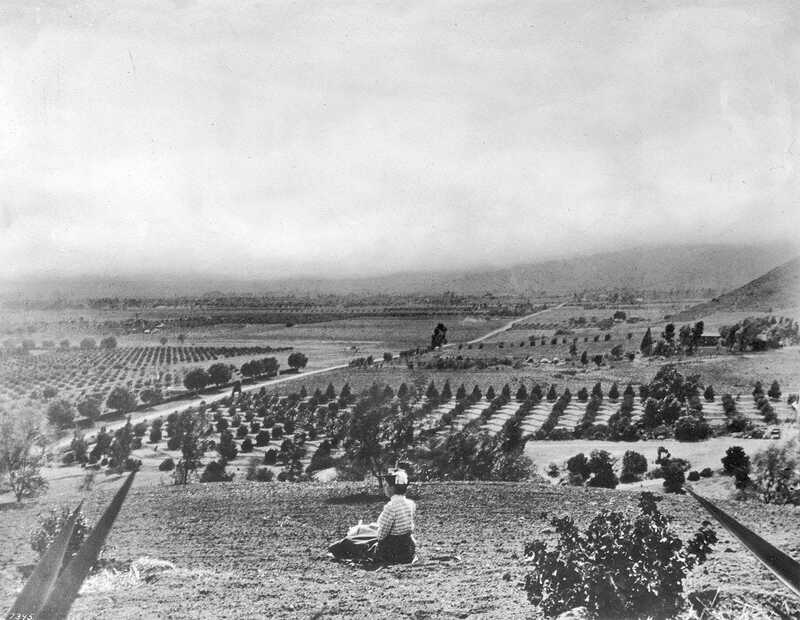 Before Los Angeles became the center of the film industry, it was covered in wetlands and farmland. 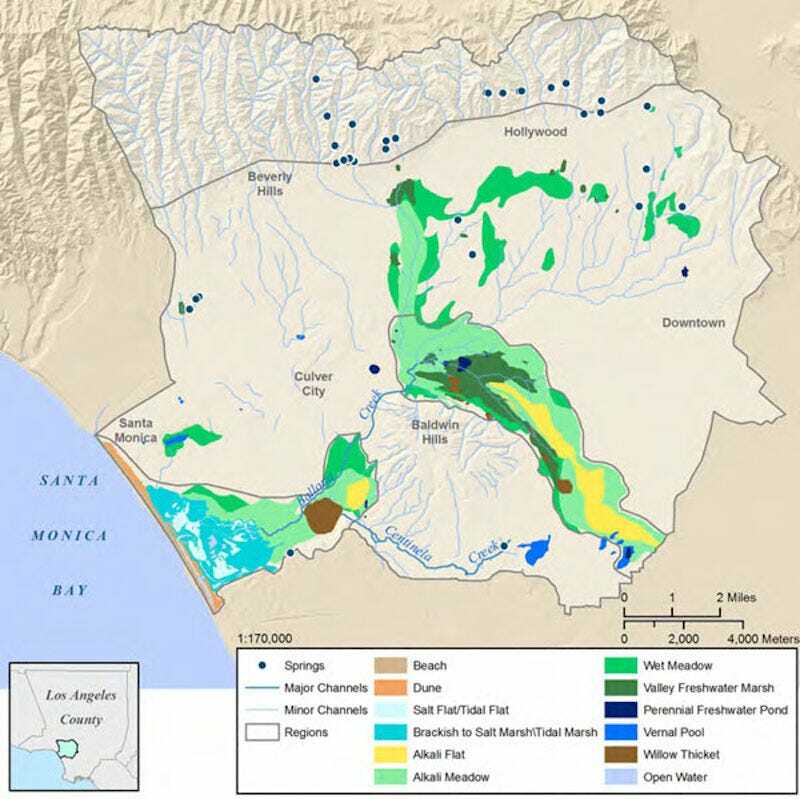 The Southern California Coastal Water Research Project recently began mapping LA’s lost Ballona Creek watershed, which once spanned thousands of acres and ranged from freshwater ponds to marshes to meadows for several centuries. European colonists later came and formed the city’s first street grid, destroying around a third of these wetlands. Archival photos from the USC Libraries show what LA looked like before it became a modern municipality. Take a look at the city’s transformation. Spanish explorer Gaspar de Portola founded LA’s first official settlement in 1769. USC LibrariesBallona Lake, late 1800s. That year, Franciscan missionary Juan Crespí wrote that the explorers “came across a grove of very large alders … from which flows a stream of water … The water flowed afterwards in a deep channel towards the southwest,” referring to the headwaters of Ballona Creek. 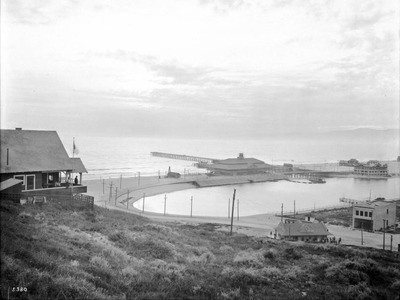 The Southern California Coastal Water Research Project focuses on the years between 1850 and 1890, before European settlement completely transformed the land. Title Insurance and Trust / C.C. 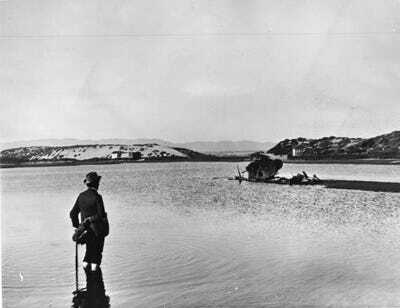 Pierce Photography Collection, USC LibrariesA boater on Ballona Lake, circa 1903. 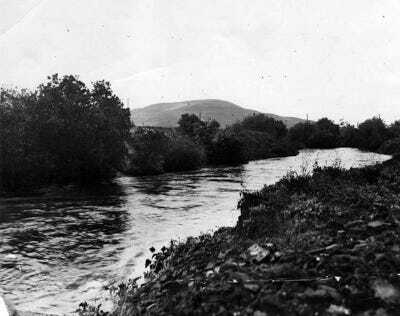 In the late 19th century, the Ballona Creek’s wetlands stretched over 8,100 acres, according to the researchers. 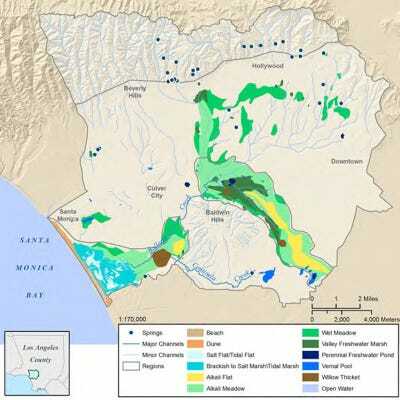 The Ballona Creek Watershed Historical Ecology ProjectMap from the Ballona Creek Watershed Historical Ecology Project’s report showing the locations of historical wetlands in the Ballona Creek watershed. The area featured freshwater ponds, beaches, dunes, salt and tidal flats, marshes, meadows, and willow thickets (a type of plant that forms along sandbars). 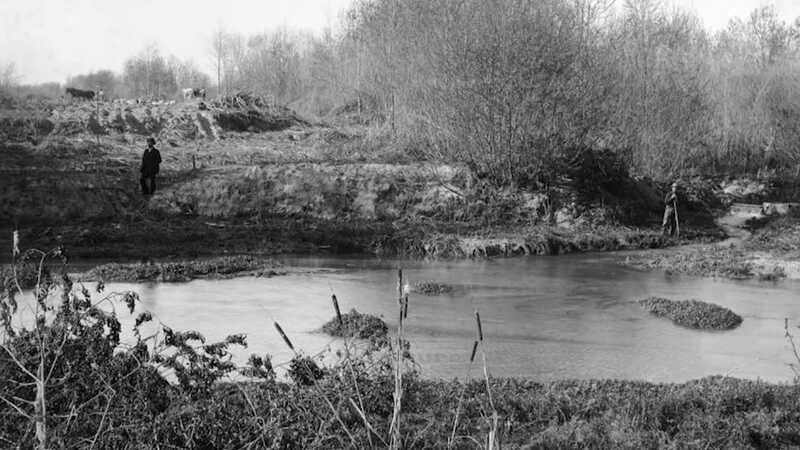 These served as habitats for a diverse set of flora and fauna, including migratory birds. 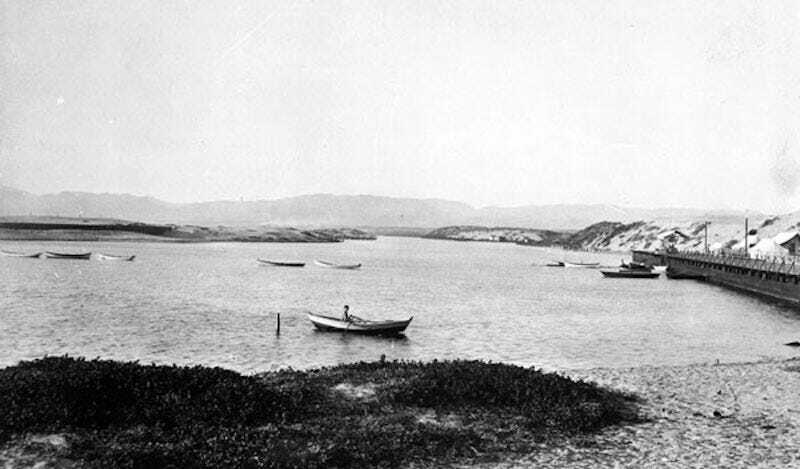 USC LibrariesPlaya del Rey lagoon, circa 1908. One of the largest wetland areas was La Cienega, a complex of ponds, meadows, pools, and marshes that stretched from Mid-City LA to South LA. It connected to the region’s other major wetland complex, Ballona Lagoon. 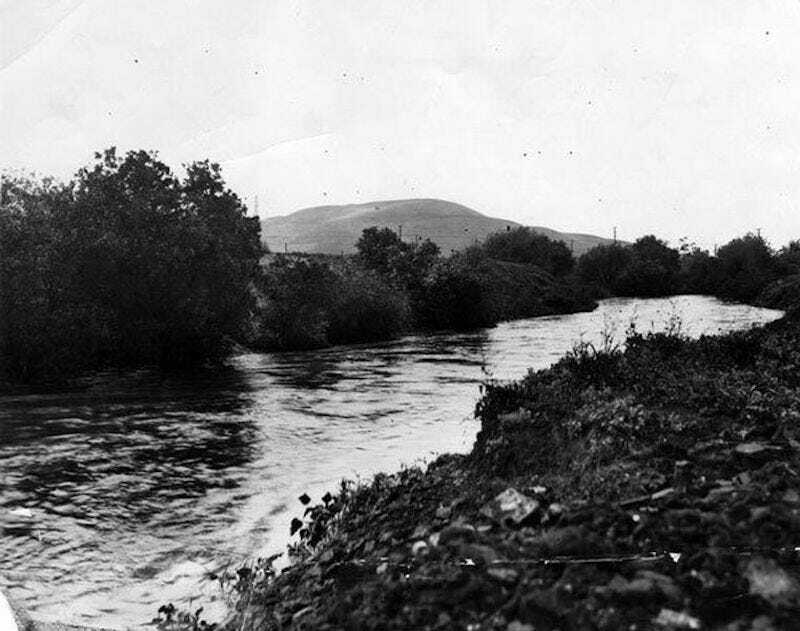 Herald-Examiner Collection, Los Angeles Public LibraryUndated photo of Ballona Creek, Los Angeles. 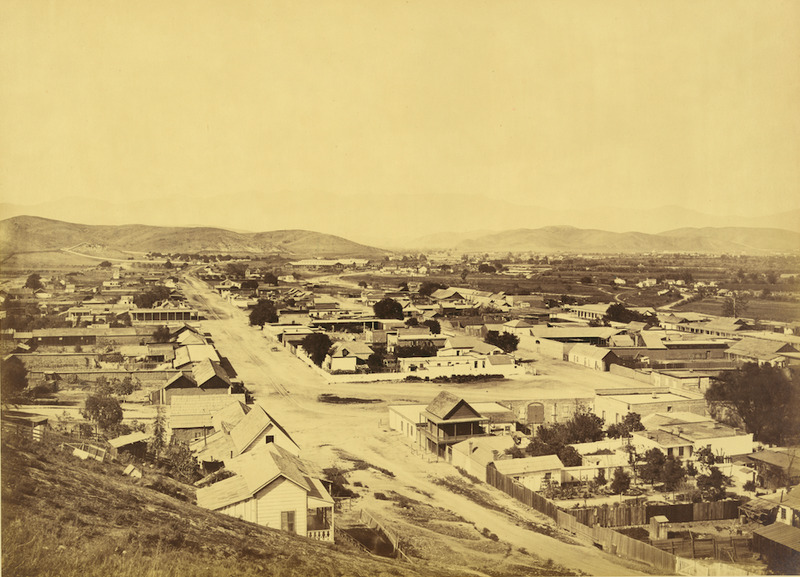 California became the 30th state in the Union in 1850. 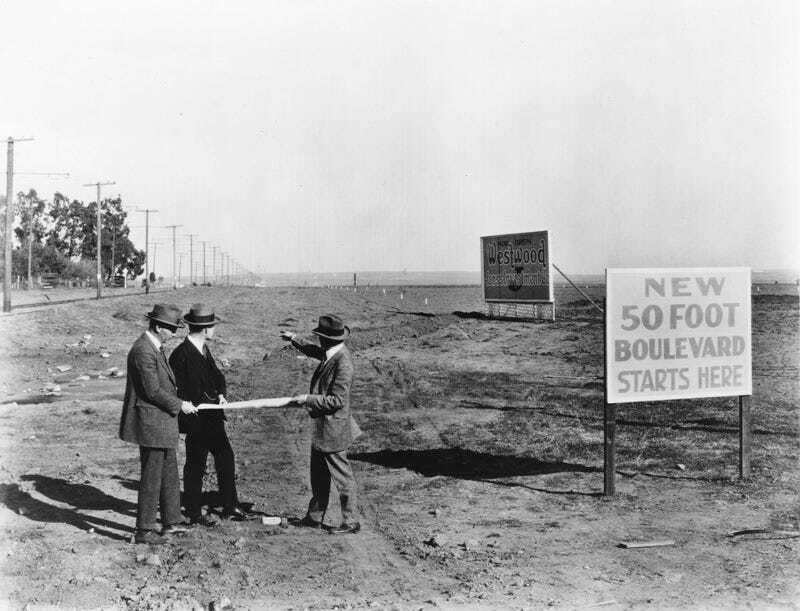 Los Angeles then began to grade its streets. Library of CongressCity of Los Angeles from Fort Hill, 1877. Over time, many of these wetlands were destroyed by development or paved over to create a network of underground storm drains. 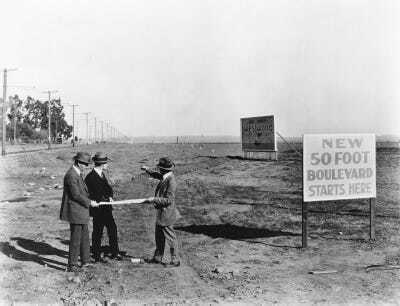 USC LibrariesThe laying out of Santa Monica Boulevard in the Westwood area in 1922. At the turn of the 20th century, the Ballona Lagoon wetlands were converted into Marina Del Rey, an unincorporated seaside community in LA County. Here’s a photo of what it looked like before. 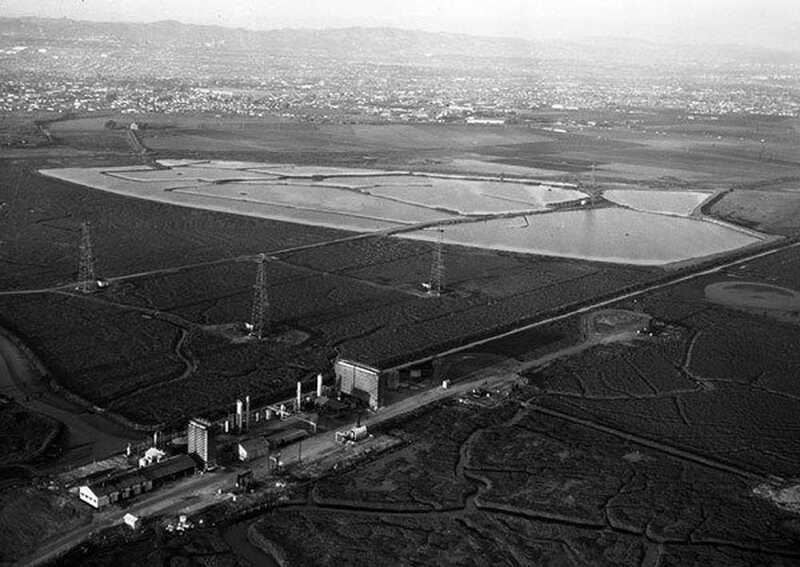 Today, just 1,228 acres of wetlands in the Ballona Creek watershed are left in LA. The 130-square-mile swath of land is now home to more than 1.2 million people and includes much of western LA, Beverly Hills, Inglewood, South LA, and the Baldwin Hills. 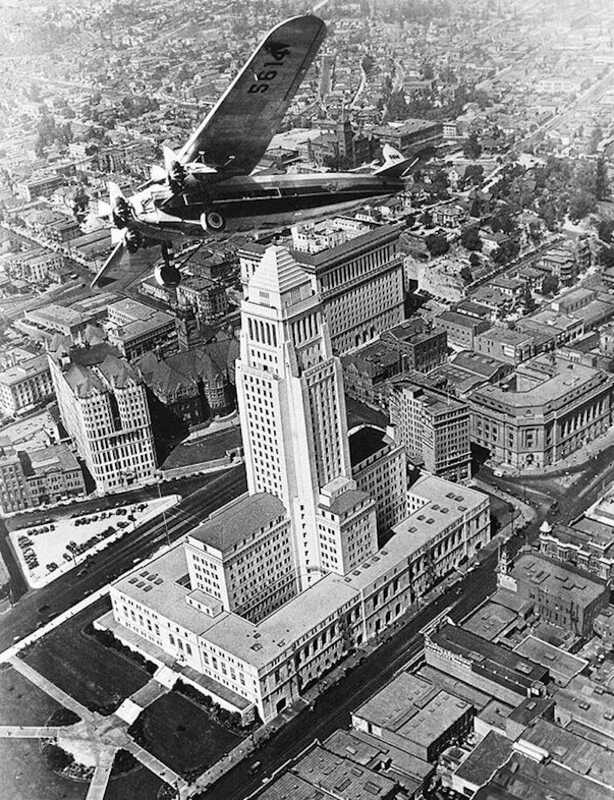 USC LibrariesA Ford Tri-Motor aeroplane flies over the newly-built Los Angeles City Hall, 1928.